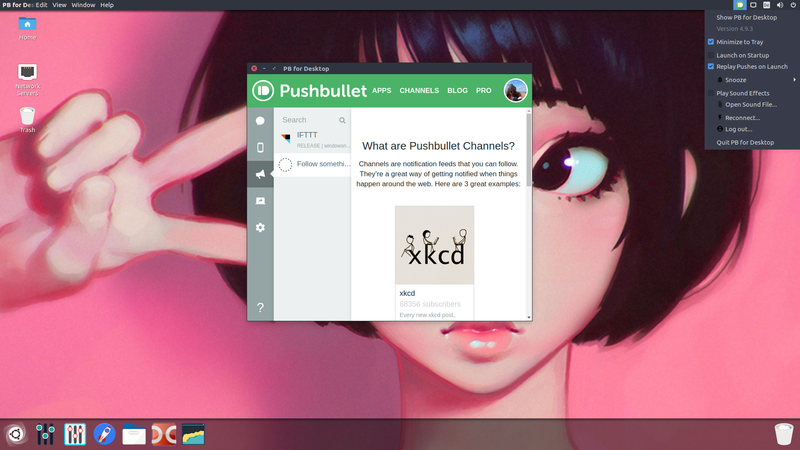 The open-source Pushbullet Desktop app. For macOS, Windows & Linux. 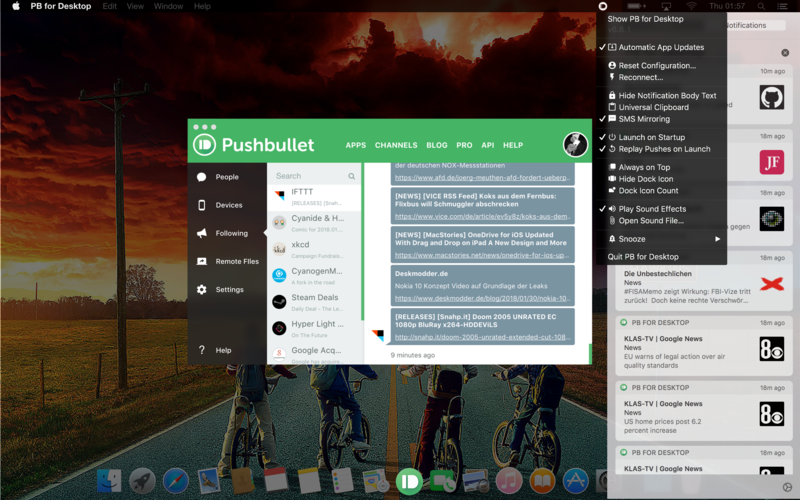 Fully native notifications on macOS, on Windows and Debian. Choose from the existing selection or import your own. 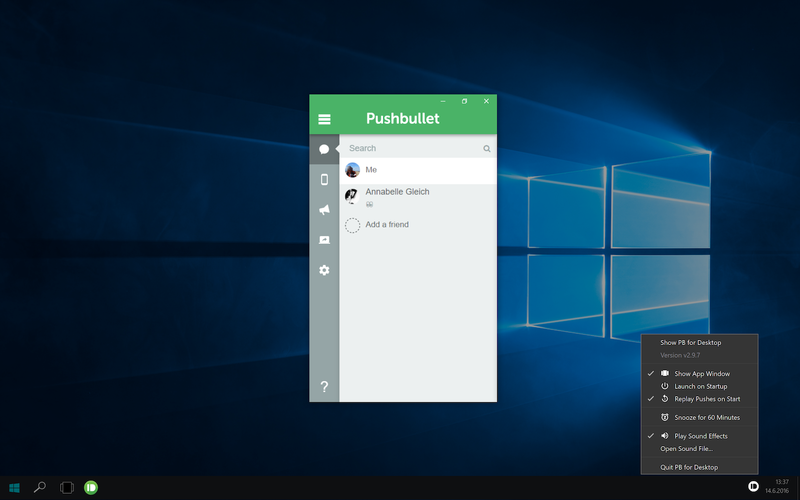 Copy & paste across devices (requires Pushbullet Pro). Push thumbnails and channel icons for apps like IFTTT. Mirror phones notifications (Android only). Low resource footprint. Runs in the menubar or system tray. Pause notifications for one, four or eight hours. MIT licensed. Developed and managed on GitHub. Not affiliated with PushBullet Inc., San Francisco, CA. Created by sidneys (e-mail). Terms & Conditions and Privacy Policies apply.